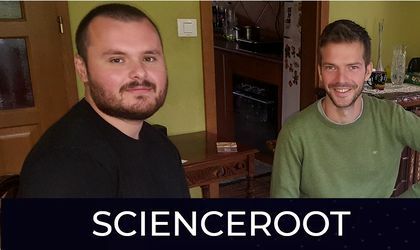 Our sixth #makeithappen business story is Scienceroot, the startup founded by two Romanians aiming to create a global scientific ecosystem that helps researchers find funds and promote their work, while increasing the pace at which quality research is being done across the world. Its vision for the future, its courage to dream big and go global is what inspired us to share their story. 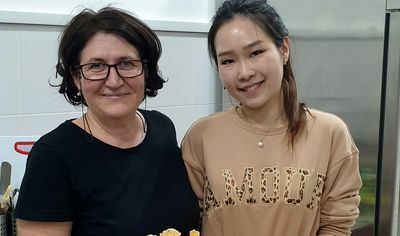 The start-up was launched in October by 2017 by two Romanians in Timisoara. Both Alexandru Chirita and Vlad Gunther are 27 years old and have embarked on a challenging quest of putting together all the pieces in the research puzzle. And they are treating their business with the same rigor as a researcher as the stakes are very high. The total size of the global scientific, technical and medical (STM) market was estimated by Outsell at USD 25.2 billion in 2013 and is predicted to grow at about 4 percent annually, said the founders in the whitepaper of the platform. 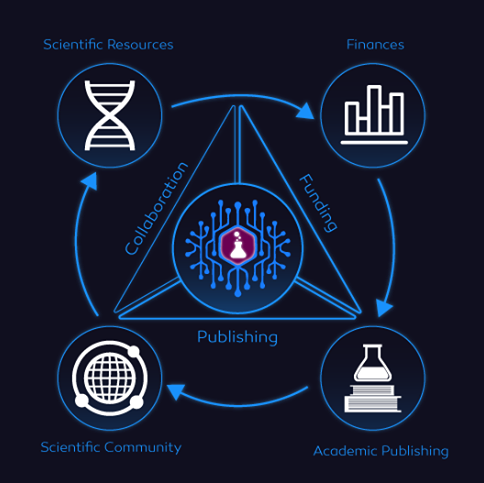 “Our goal is to create a blockchain-based scientific ecosystem that combines all the requirements of a researcher. Having everything in one place and not spread out through different platforms, is time-saving and efficient. Not only the quality, but also the pace at which scientific content is produced will rise. Blockchain provides with an immutable database that can store a chain of events, which is perfect when it comes to documenting science. Nobody can alter, delete or modify this database,” says Vlad, CEO & co-founder of Scienceroot. He is currently studying for an engineering degree at the Polytechnic University in Timisoara, specializing in Computer Systems Networking and Telecommunications. Until founding the start-up, he worked for Bosch and Microsoft, gaining valuable experience in project management and consulting. Alexandru is a physicist and is currently doing his PhD at the University of Vienna. 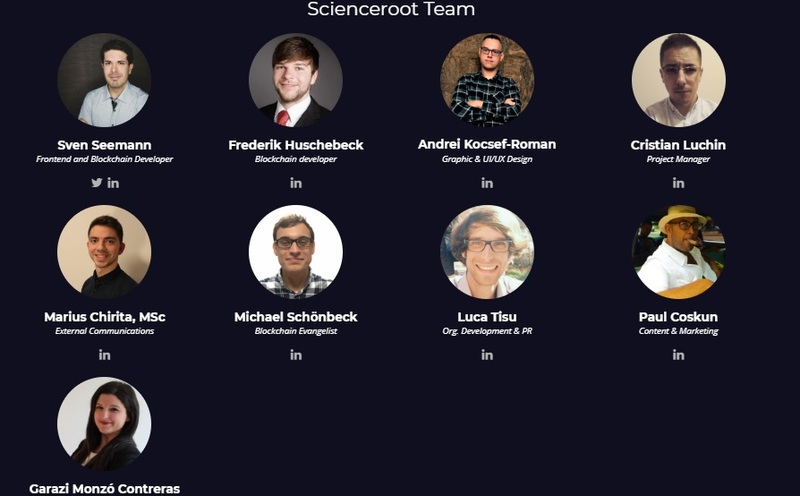 Working and studying with other researchers, he came up with the concept of Scienceroot believing that it can disrupt the scientific community. The problem there are trying to fix is the confusion and reproducibility issues that might appear during the research process. At present, you can see only the end result of the complex research activity. “With blockchain, we aim to provide unique identities to researchers and the means to store and time-stamp all the steps in the course of their discovery process, without having the fear of intellectual property theft. By documenting their research this way, people who pursue similar approaches and work on the same topics will truly benefit out of it. They can learn from each other’s mistakes, see whether or not a certain approach is worth pursuing, or just fork a particular idea and discover where it may lead. This we believe, will bring the collaboration between scientists to new levels because research ideas may be shared and be out in the open, with every party involved getting their deserved recognition,” says Vlad. In less than one year, the start-up increased its number of team members to nine and got on board a team of top scientific advisors from Romania, Western Europe, the US and Asia. The start-up is getting ready to launch its Initial Coin Offering in mid-July. Initially, Scienceroot will sell 12.5 million science tokens for EUR 0.04, aiming to raise the equivalent of EUR 500,000. Three more sales of tokens will take place by 2020. “Gathering funds through crowdfunding was our plan since Day 1. We took this approach because we believe that everyone should be able to invest in the project and in science. Through our Funding Platform, people will have the possibility to raise funds and support research ideas, and we want to achieve this also through the power of the crowd, not just through funding institutions,” explained Vlad. The entrepreneurs have tested the platform locally and there are ongoing discussions with various institutes and universities in Romania and Austria to implement different functionalities of the product. Those reviewing the validity of the published research papers will be incentivized from the Scienceroot fund. Every half a year, the startup aims to rank the top cited articles and the authors will be rewarded accordingly from the Scienceroot Fund. Readers will also be able to reward authors if they find the articles useful. Talking about the future, the CEO of the startup says that he is open to work with other organizations interested in unlocking the potential of the blockchain. “We are not in direct competition with anybody and are looking to collaborate with traditional companies and publishers, which see the potential that blockchain has to offer and would like to implement it into their already existing business model.